No Comments, Gaming, How-to, by admin. 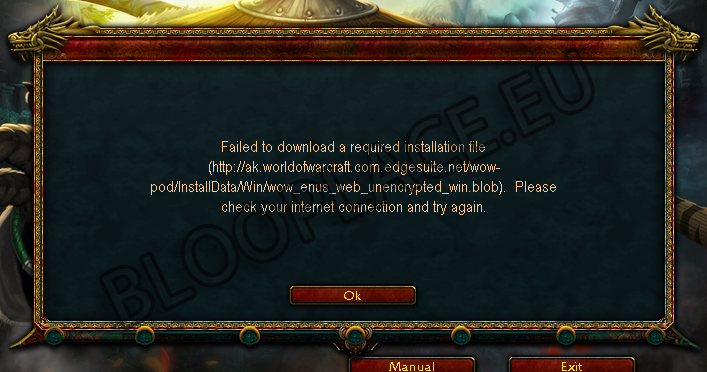 Failed to download a required installation file (http://ak.worldofwarcraft.com.edgesuite.net/wow-pod/installdata/win/wow_enus_web_unencrypted_win.blob). Please check your internet connection and try again. This works for enus, ruru, engb, dede, frfr, itit, and so on. Have fun playing the new World of Warcraft : Mist of Pandaria .